It’s a well know fact around these parts, that Yoshi is SLIGHTLY obsessed with pigs. 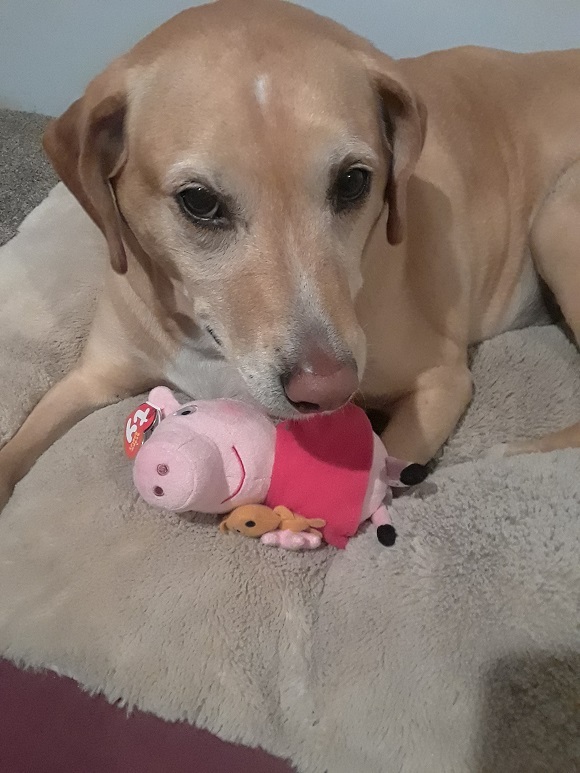 Pink pigs, really, are her thing. First there was the pink pig episode of 2015. 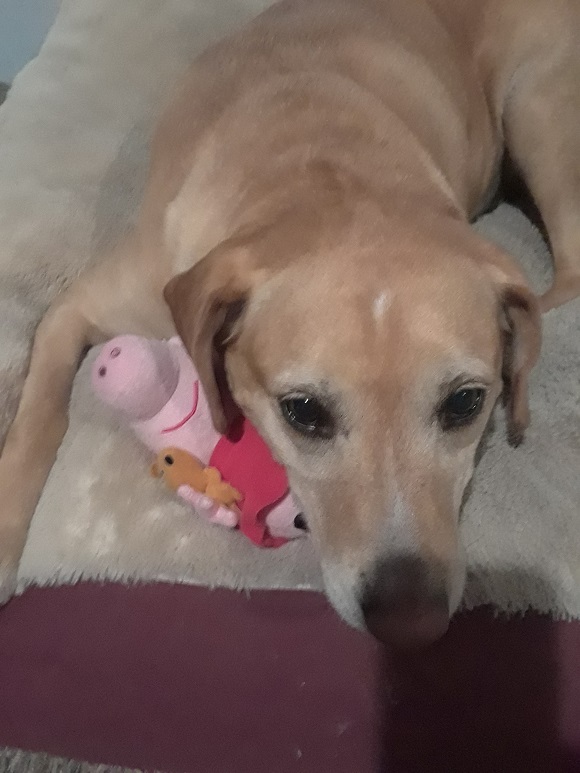 That pink pig still continues to be a source of argument between her and other dogs and has to be picked up and put away when she has furry visitors. Then there was the undercover pig episode, which also took place in 2015. The beloved pig that was ripped in two. Since then, many-a pigs have found their way through these doors, see? 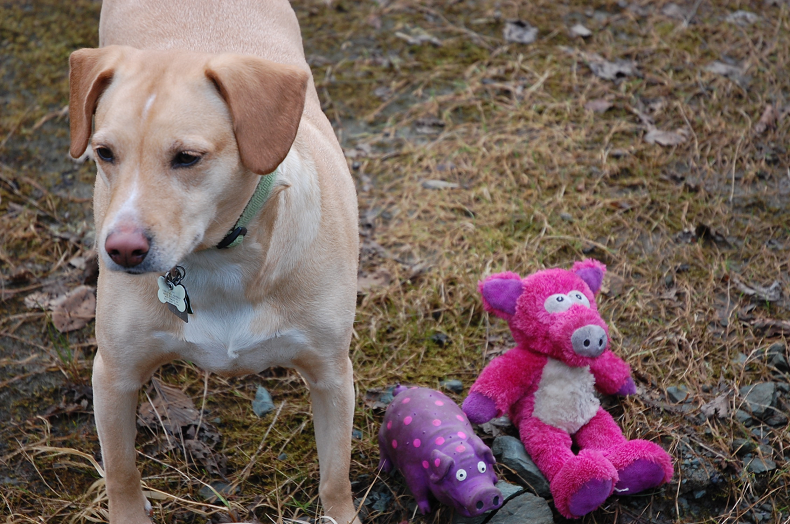 At the moment, she has multiple pigs -but none are pink. 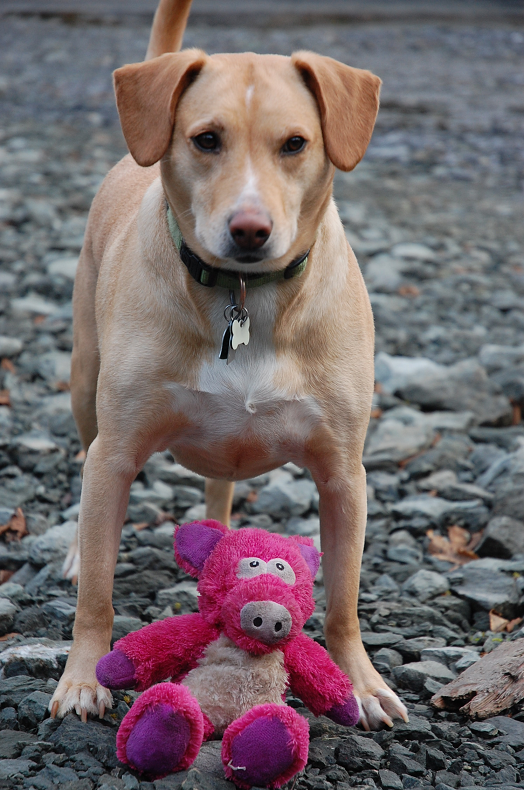 Finding a pink pig is harder than you might think. 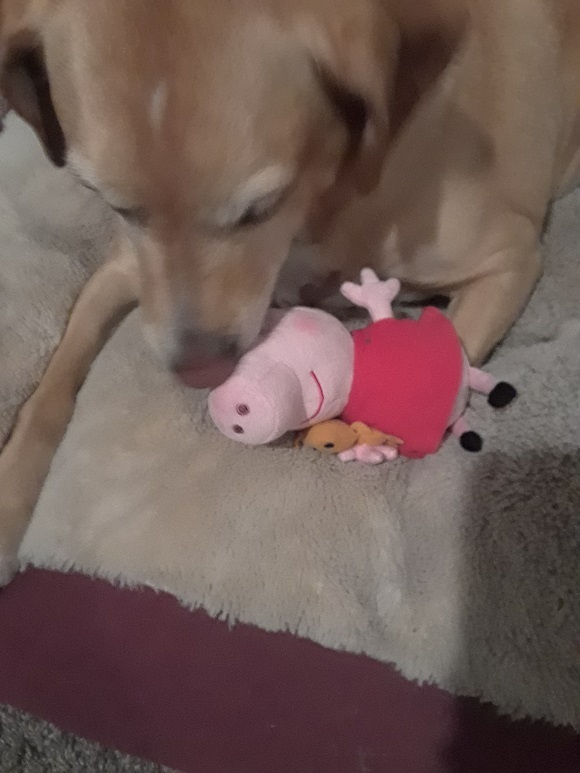 When mom and I were on our way home, we found peppa pig in the airport, and since my niece was having a birthday, and loves peppa -we decided to get it. When we got home, I thought nothing of it -pulled it out of my bag while unpacking and moved on with life. Can’t a girl just have a pig of her own without having to worry about it getting taken or ripped or sent away?